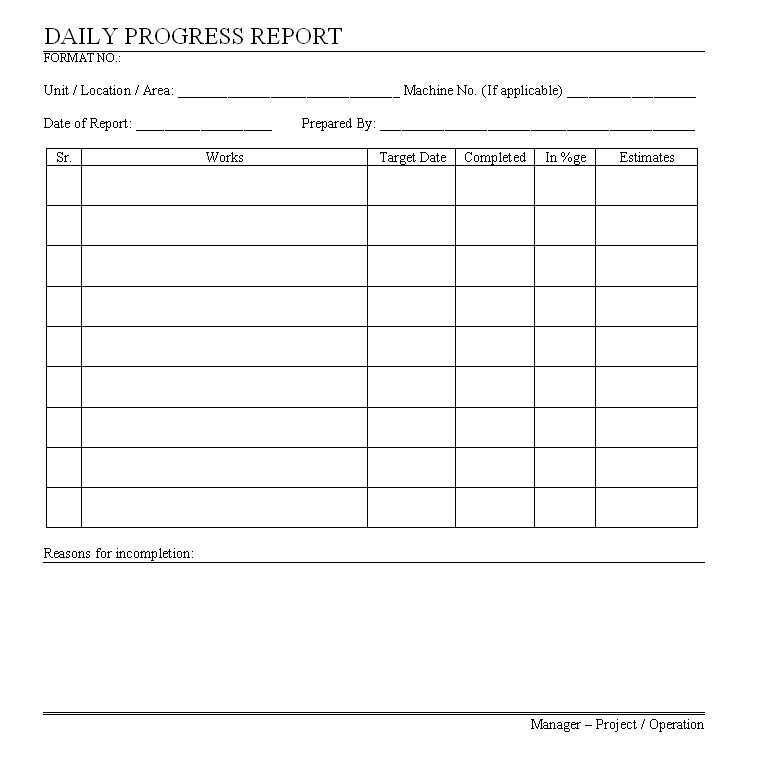 On establishment of any project by management, management needs to monitoring, controlling on activities of the project progress & improvement, for the monitoring of the progress of the project or work task that assigned for the company improvement, frequency monitoring required and same the reporting of the daily progress, monthly and overall progress report should establish & maintain to understand the requirements of the resources, breaks, troubles and improvement can possible to identify. Unit / Location / Area Details where task is assigned. Machine Number – if applicable, if the tasks are concern to machines that machine number must be mention. Works – All the information of the works, task that daily monitoring required or task is on progress or needs to completed in time frame. Details of the percentage of the works are done by today. Estimate of the possible resources, estimate records etc..
Reason for not completed works task, needs to record information, reasons for not completed in time frame.